Wheat and barley are among the most widely produced agricultural crops in the Nordic-Baltic region and provide a source of nutrition for both animals and humans. 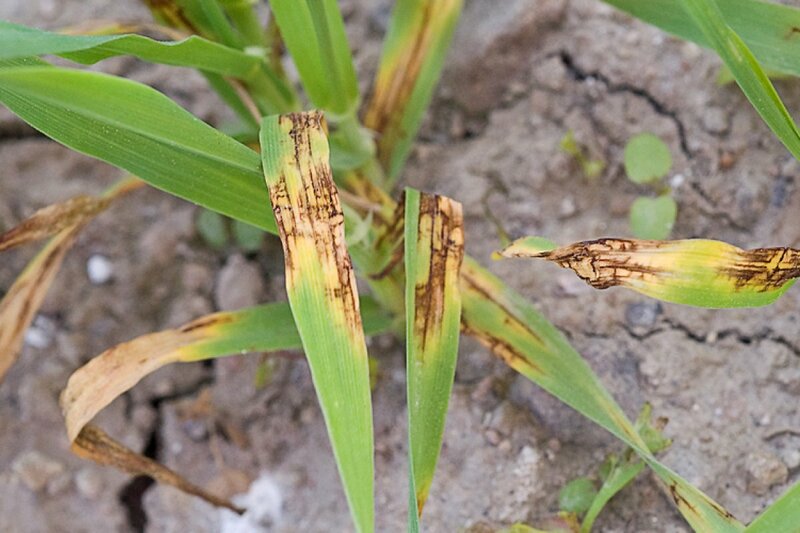 However, leaf spot diseases, caused by fungi that colonize and kill the plant tissue, can reduce the yield significantly. Improved management strategies can aid in optimizing timing of the required fungicide treatments and potentially reduce the number of fungicide applications. This can contribute to increased food production, better economy for the growers and decreased impact on the environment. The tasks in this project include to characterize end user groups and their preferences for leaf spot control strategies and decision support systems. The project partners will use this knowledge to gain an understanding of the motives behind farmers’ decision-making in relation to IPM tools and thereby optimize the precision and quality of pest management strategies. In coordination with these results, field observations and historical data will be used to improve and validate risk prediction models for leaf spot diseases in wheat and barley. The project will then develop IPM tools that accommodate local user needs based on available infrastructure, locally available input data and local resources. The Norwegian Open Source technology platform VIPS will provide a basis for efficient, user friendly and low-cost expansion of locally adapted decision support systems in the country’s own language, thus facilitating the implementation of IPM. SpotIT is coordinated by NIBIO, with partners from Norway, Sweden, Lithuania, Denmark and Finland. European scientists will develop improved decision support tools that can help optimize disease control in the Nordic-Baltic region.